Great seller fast shipping arrived in perfect condition. Great Seller! Fast shipping! Excellent customer service. I'm very pleased. Thanks ! Will continue buying from CPO. Excellent seller, prices, tools, AND service!!! Nice transaction. Arrived quickly and as described. Bought this to do trim in my new home and it is working like a champ. I have had several other brands, both sliding and non & this by far is the best one i have ever owned, it is just loaded with features. One that i like the best is how easy the blade swivels. Press a small tab button and it swings easily. Detents for common angles. 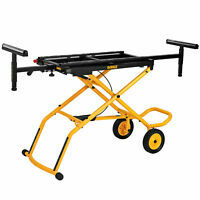 Also has a work light that creates a cut line shadow for the blade path. No laser to deal with. 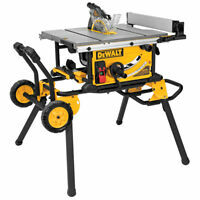 Purchasing this saw will not give you buyers remorse. 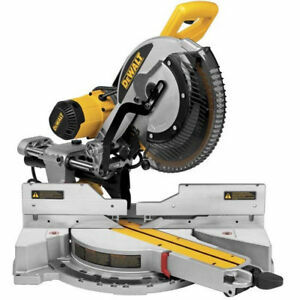 Ive been wanting one of these for a while I already had a 12 inch Dewalt miter saw but I wanted the versatility of this one because it has a much better cutting range.,This one looks and performs like new ,very quiet motor ,new blade ,I could not tell it was refurbished ,I have already used it quite a bit with no problems ,I use a miter saw more than any other tool I have and I love this one. I love all the features of this saw it makes construction a lot easier. Performs just like new with no issues. The saw is a great deal, but it was missing the blade wrench. Overall a great deal for being factory reconditioned. Great saw at a great price.